This recipe originally came from my Aunt Jill. She is my mom's sister and an amazing cook as well. I adjusted it a little to fit the ingredients I had on hand and also to make them dairy free for my little girl. If you want to make them her way you can add 2 TBSP chopped green pepper, and 1/4 c shredded cheddar cheese to the filling mixture. 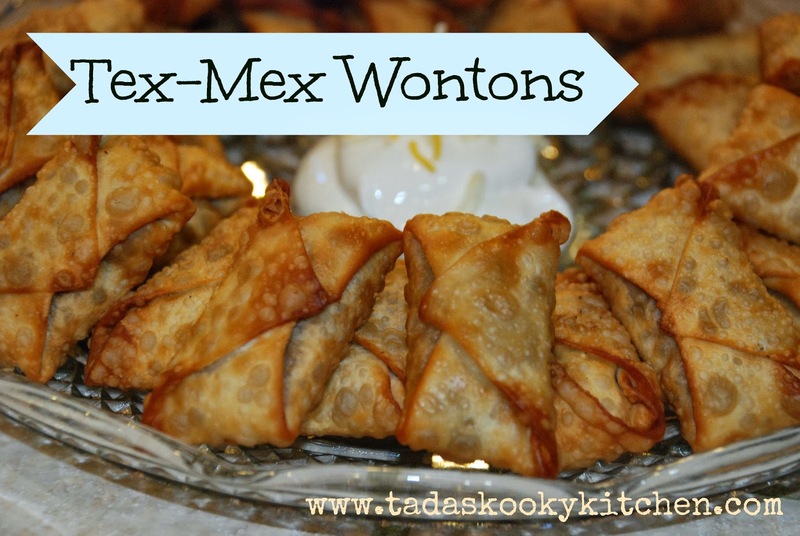 These little wontons were perfect for snacking and as a meal. We made them a meal by siding them with rice.